Ashley Alexander is incredibly creative with her recipes—whether it's adding a dash of peanut butter to homemade pumpkin soup or infusing spaghetti with beetroot. 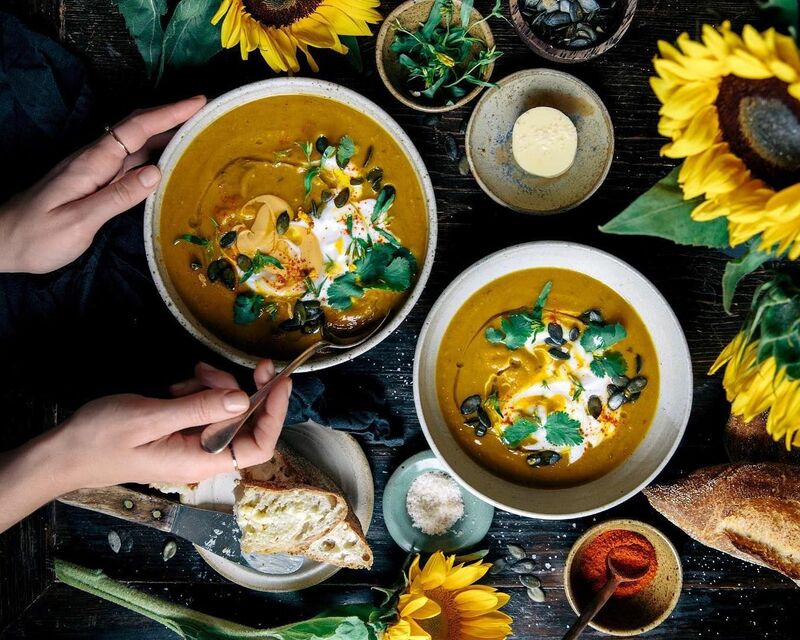 She's mastered creating dishes that look and taste indulgent, but that are plant-based and packed with fresh ingredients, and her gorgeous Instagram feed is sure to inspire you to look at healthy eating in a whole new light. This account believes that “healthy should be delicious” and we couldn’t agree more. Full of sass and wit, Healthyish is here to offer a more approachable take on healthy eating, debunk health myths and fads, and host panels with experts in the field. Poll: Would You Buy Art Over Instagram? Sara Forte's recipes are almost too pretty to eat—almost. On Instagram, she gets creative with fresh seasonal ingredients, dishes them up on gorgeous ceramics and shares the recipes so you can create these wholesome masterpieces for yourself. From curry cauliflower to Ancho Chile mushroom tacos, we can't decide what to make first. Amanda Meixner's Instagram takes a simple, easy to follow and educational approach that covers everything from daily meal plans to healthy alternatives of your favourite guilty pleasures. After all, building healthy habits is a learning process. After being diagnosed with Postural Tachycardia Syndrome at just 20 years old, Ella decided to take control of her health by going plant-based and documented her journey along the way. What transpired was a charming vegan deli in London, multiple cookbooks, an app and over a million Instagram followers. With four wildly successful vegetarian cookbooks under her belt, Luise Vindahl knows a thing or two about serving up seriously delicious plant-based goods. On Instagram, she shares original recipes, trips to farmer's markets around the world and the occasional family photo. There are few things that Laura Wright loves more than sharing a wholesome meal with the people she loves. If you're the same, then her Instagram is a treasure trove of healthy dishes you'll be dying to share with family and friends.